Funeral Services for Betty Jean Bender will be held at 10:00 a.m. on Wednesday, May 23, 2018 at the First United Methodist Church in Las Animas, Colorado. Pastor Rod Coulter will officiate. Interment will follow in the Bent/Las Animas Cemetery. 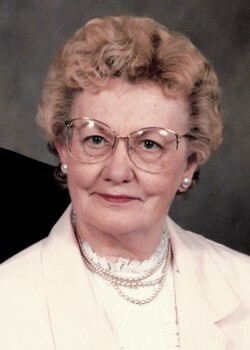 Betty Jean (Veatch) Bender was born on May 30, 1928 in Rocky Ford, Colorado to Homer and Gertrude (Ikleman) Veatch. She passed away on May 18, 2018 in La Junta, Colorado at the age of 89. Betty took great pride in being a homemaker, raising her six children along side her husband, George. Anyone who had ever had the pleasure of eating one of Betty’s pies would agree that she was the best piemaker in the world. She was a gifted pianist and shared her love of music by teaching piano lessons. Betty was a member of the First United Methodist Church in Las Animas, Colorado. Betty is survived by her children, Wayne (Mary) Bender of Buena Vista, Colorado, Janet (Jim Thayer) Crockett of La Junta, Colorado, Connie Bender of Swink, Colorado, Kelly Jo (Gene) Jett of Scott City, Kansas, Barrett (Kerri) Bender of La Junta, Colorado; 10 grandchildren; 7 great grandchildren; many other relatives and a host of friends. She was preceded in death by her parents; husband, George Bender; son, Brian Bender; and sister Mavis Steele. Memorial contributions may be made to the First United Methodist Church in care of Horber Funeral Chapel, P.O. Box 431, Las Animas, Colorado 81054.